The Haymarket Tragedy was a powder keg for labor reform in 19th century Chicago. Experience this and other cornerstones of labor history on this engaging interactive tour led by Tim Samuelson, the City’s Cultural Historian. STRIKE! 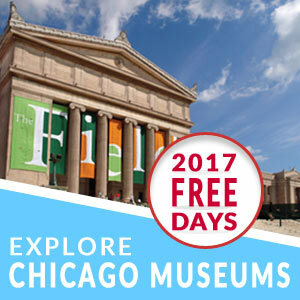 Chicago History Tour, happening on Saturday, on May 5, is our 175 Days to Love Chicago pick for May 1. Kimpton Chicago wants to say “HAPPY BIRTHDAY!” to the Second City that is first in our hearts. Enjoy a special hotel package, our 175 Days to Love Chicago pick for Monday, April 30. Honor the man whose amplified blues harp stylings revolutionized the Chicago Blues sound and beyond when Billy Branch and the Sons of Blues take the Old Town School of Folk Music stage to celebrate Little Walter’s Birthday, our 175 Days to Love Chicago pick for Sunday, April 29. While Adham Fisher races against the clock to break the world record for going to all 144 ‘L’ stops in a row, for our 175 Days to Love Chicago pick for Friday, April 27, we suggest that you, too, explore Chicago’s neighborhoods on the ‘L,’ but perhaps at a slightly more relaxed pace. Take a deep breath and enjoy fragrant and colorful blooms at the Lincoln Park Conservatory’s Spring Flower Show. This free showcase runs through May 13, and is our 175 Days to Love Chicago pick for Tuesday, April 24.